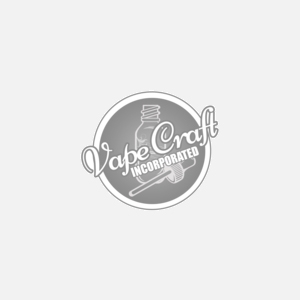 Vape Points are our way of saying, "Thank you for shopping with us here at VapeCraftinc.com". Every time you make a purchase, you will earn 1% towards future purchases. When you add a product to your cart, the number of reward points you will receive will be listed in your shopping cart. For every $1.00 you spend you will receive 1 reward points. Once you have purchased an item the reward points will be added to your account once the order status is marked as complete. You can also receive reward points by sharing, telling friends, and posting reviews, and more. Read below. Tell a Friend: You can tell a friend by emailing them, posting on facebook, tweeting on twitter, or giving us a +1 on google+. Like Us on Facebook: Like our facebook page and receive 5 reward points. Sign Up for our Newsletter: Receieve 10 Reward Points for subcribing. Referral Sign up: Get a friend to sign up for an account through your link and you will receive 50 reward points. First Referral Purchase: Each friend you get to make a purchase by clicking on your link and you will receive 100 Reward Points. Post a Product Review: Post a review on a product page and we will reward you with 5 reward points. Tag a Product: Tag a product and rececive 5 reward points. To redeem reward points simply go to your shopping cart and select how many reward points you would like to redeem. You must be logged into your account to be able to redeem reward points. Once you enter in the amount of points you would like to use you will automatically see your total update at the bottom of the page with your discount. At Vape Craft we like to reward our customers when they shop with us. We give out reward points which our customers can redeem for products and discounts.